Have you ever wanted more living space in your home, or wished you could enjoy the milder Arizona months a little more? 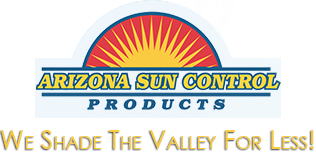 With custom screen rooms from Arizona Sun Control Products, you can take advantage of the beautiful weather while avoiding pests and the elements. We'll cover your patio with a roof and enclose it with screened walls, creating an excellent place to entertain, spend time with the family, or just a place to sit with your morning cup of coffee. Your custom-designed patio enclosure will be built on-site, ensuring the parts are perfect for your space. We accomplish the by using the highest quality materials such as Phifer SunTex® sunscreen and extruded aluminum screen frames.